Natalie Grant is a popular singer-songwriter of contemporary Christian music. Born in Seattle, Washington, Natalie makes her home in Nashville with her husband and twin daughters who will be three in February. Natalie is looked upon as an amazing and talented lady who plays a prominent role in Christian Music. She has four Dove Awards for the best female artist and was also awarded the Gospel Music Association Female Vocalist of the Year four times. “Relentless” is the name of Natalie’s 7th album, released in 2008. In 2005, Natalie released her album titled “Awaken.” One of the most beautiful songs on the album was “The Real Me.” The poignant lyrics seem to express a search for peace from the push and pull of being in the limelight. Natalie’s book, “The Real Me: Being the Girl God Sees” was available to the public in January of 2005. 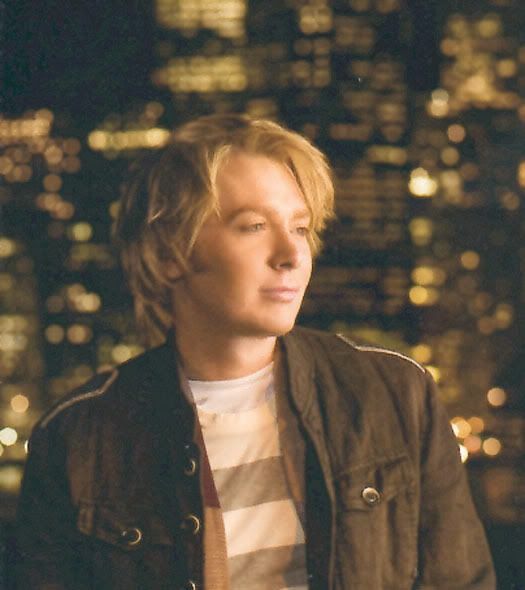 Clay Aiken included “The Real Me” on his album On My Way Here. Although most of us have never heard this song live, there is a wonderful video of Clay singing the wistful song. Yesterday afternoon, a number of our host provider’s servers were down. This created a problem for our blog and we were knocked off the net. We are sorry for any inconvenience this might have caused. Fortunately, it looks like we are back up and “healthy.” If there are any problems, please let us know. "The Real Me" is probably one of my favourite songs from OMWH….I love it.. You can just feel all the emotions from Clay, and it was probably the most joyous time in his life, but as well, the most difficult… To me, this song represents the struggles that he was going through, and maybe that is why it touches me so much…. I loved that Montage of The Real Me. This song always did represent all the things he went through just so he could be who he truly is. I think it is a beautiful song and I love how Clay sang it. I also have to say how handsome and gorgeous he was looking on that QVC Special with that blond hair. Gasp!! That was a nice story on Natalie Grant..and she wrote a great song when she wrote TRM. The Real Me is such a beautiful song and Clay Aiken sings it with such emotion. One of my favorite songs on OMWH. That was a beautiful Montage. It describes everything that Clay went through to be his true person. I have to admit that Clay was looking very gorgeous in that blond hair. Natalie Grant wrote a great song in TRM. Thank you for the information on songwriter Natalie Grant. I love the emotion and musicality Clay Aiken brings to her song "The Real Me." The Real Me is a wonderful song and Natalie Grant is a great songwriter. Thank you for both – the video and the info. This was the song that made me want to buy his fourth album. I love this video. Beautiful song and I think Clay really felt it. I would love to see him sing it live. I love Clay Aiken's heartfelt performance of "The Real Me." I didn't know it was written by Natalie Grant. it's a beautiful song. Also loved the montage! I have been a follower of Clay since the beginning and am now a follower of Adam Lambert also. I just felt I needed to hear Clay again and what a song to hear! It reminds me of Adam's Broken Open. Both have wonderful God given voices and put such emotion into their performances. I hope I haven't said a nasty word mentioning Adam but just goes to show that a person can follow two very different people and enjoy both. Looking forward to Clay's next cd! I posted a comment but it didn't go through. I love this video but mentioned I was also an Adam Lambert follower. Brenda…….ALL comments have to be approved at this site. I am glad that you enjoyed the video of Clay. The Real Me is one of my favorite songs. Hearing Clay sing this song always touches my heart. So beautiful, but almost painful. Great job, Claysidney, putting this montage together. I think this is a wonderful song for Clay, it so touches me when I hear it. Both are wonderfully talented Christian singers, but your picture is of Amy Grant, rather than Natalie Grant. Thanks! Thank you for helping me out!! I wonder where my brain was when I got that picture!! I just got a box set of Natalie Grant CDs for Christmas. She is extremely talented. I'm so thankful Clay Aiken discovered "The Real Me" and recorded it hiself. TRM is a such a beautiiful song and both artists did wonderful renditions of it. Error: Error validating access token: Session has expired on Tuesday, 21-Aug-18 16:13:01 PDT. The current time is Wednesday, 24-Apr-19 21:16:05 PDT.